RLT hand knitted bracelets! Morden and Fun! 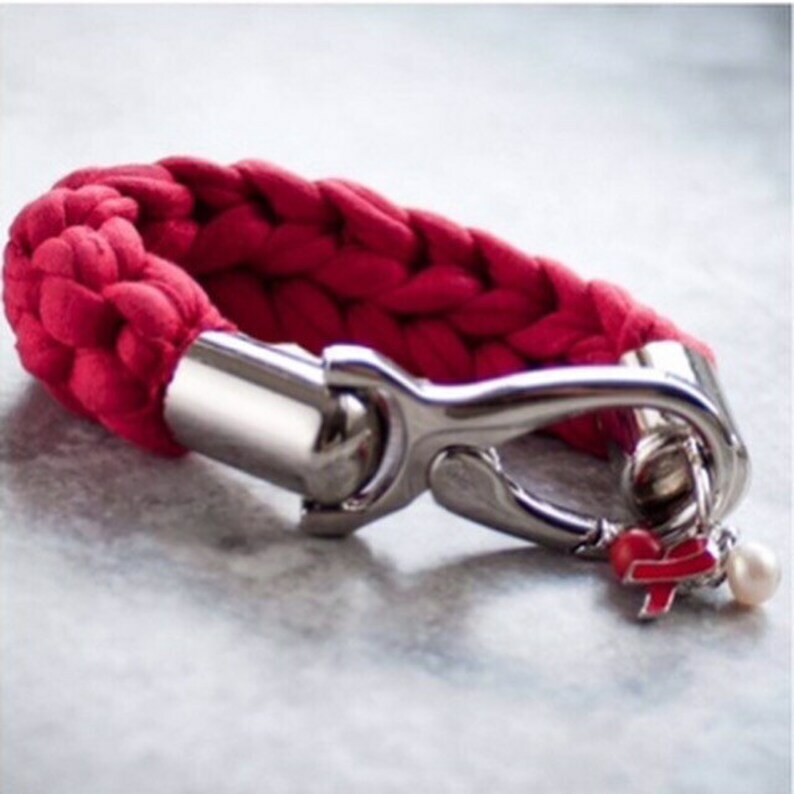 This hand knitted bracelet is knitted with recycled red t-shirt yarn. RLT launch into substantable fashion with more to come. She is excited to extend her knitting to the bracelet line. The bracelet is knitted and paired with a chic clasp. The charm dangle is a freashwater pearl, a clear crystal and an red AIDS Ribbon. Wear this bracelet set individually, or stack it with other bracelets from the RLT Collection for that over the top glamorous look. And don’t be afraid to mix color. Any way you choose to wear it is cool! Just remember that a woman should never be without at least one bracelet on her wrist. That’s A Diva Rule!